Cricket is one of two paintings by Lance Hunter chosen to be featured in Splash 16: Exploring Textures to be published by North Light Books. This anthology of contemporary watercolors will be the latest edition in this popular series by North Light. The book is scheduled to be released in bookstores in 2015. 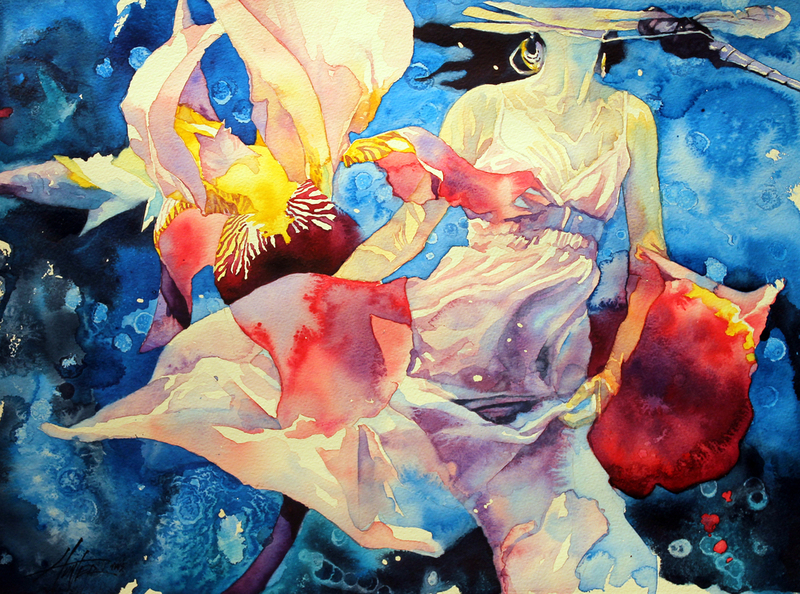 Iris was selected from hundreds of entries from six countries and 29 states for the 44th International Exhibition of the Louisiana Watercolor Society. The exhibition runs from May 2-25th at the Garden District Gallery in New Orleans. Net Worth received the Southern Watercolor Society Award in the Georgia Watercolor Society XXXV National Exhibition held at the Carrolton Cultural Arts Center from March 7 through April 24, 2014. Lance received the Award of Excellence, the highest award presented in the Watercolor Missouri International Exhibition 2014. The exhibition is being held April 1-May 16th at the National Churchill Museum in Fulton, Missouri. Fish Tales II by Lance Hunter was selected for the 147th International Exhibition of the American Watercolor Society in New York City. The exhibition runs from April 1-20th at the Salmagundi Club on Fifth Avenue in Manhattan. This selection marks the third time Hunter's work was chosen for the highly competitive, AWS annual exhibition. This qualified the artist to be considered for the honor of Signature Membership with AWS, which he received.